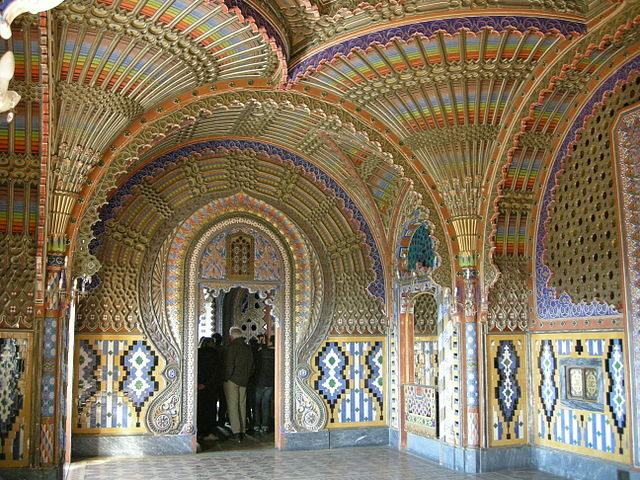 Sammezzano, or the Castle of Sammezzano (Il Castello di Sammezzano in Italian), is a luxury palace designed in the Moorish Revival architectural style. 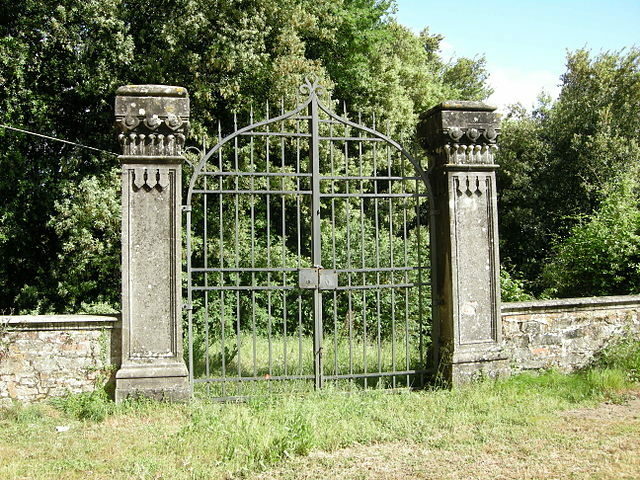 It is surrounded by a large park and situated near Leccio, a suburb in the town of Reggello, approximately 16 miles southeast of the city of Florence in Tuscany, Italy. The central Italian region of Tuscany is known worldwide for its history, traditions, remarkable landscapes, and countless pieces of fine art. Tuscany is the birthplace of the Italian Renaissance. In the territory of Tuscany, many individuals were born who had a huge influence on the evolution of art and science. There are also numerous famous buildings in the area, including museums, villas, palaces, and churches, known for their breathtaking beauty. The Castle of Sammezzano, hidden in the hills of Tuscany, is one of those buildings. The original palace was constructed at the beginning of the 17th century under the direction of Spanish aristocrat Ximenes of Aragon. The history of the location, however, is much older and goes back to the late Roman times. The historian Robert Davidsohn, in his book History of Florence, claims that in 780 AD Charlemagne (or Charles the Great), King of the Franks and the Lombards and Emperor of the Romans, visited the area after returning from Rome, where the Pope baptized his son. 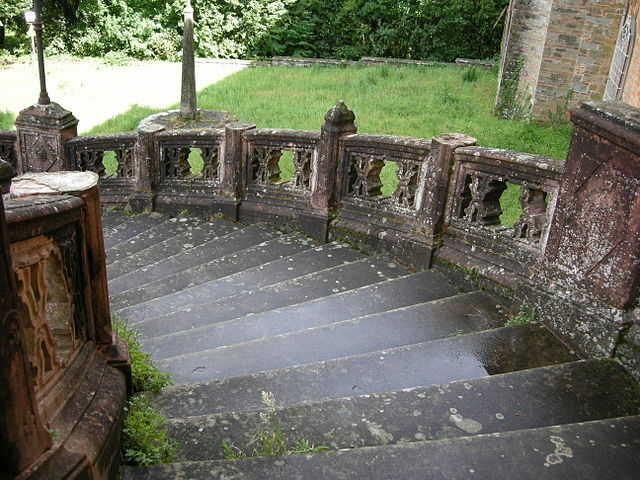 The Sammezzano land, which is part of the castle, was part of the estates of several important Tuscan families for centuries. 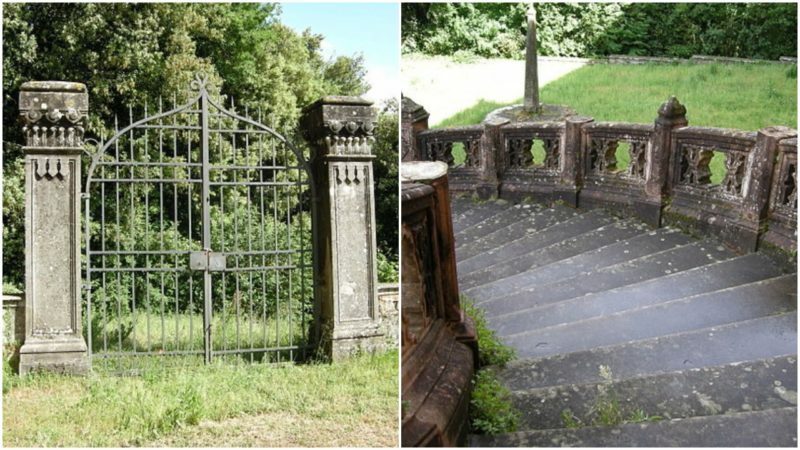 The Altoviti family had the land at first, but later it belonged to the Medici family. 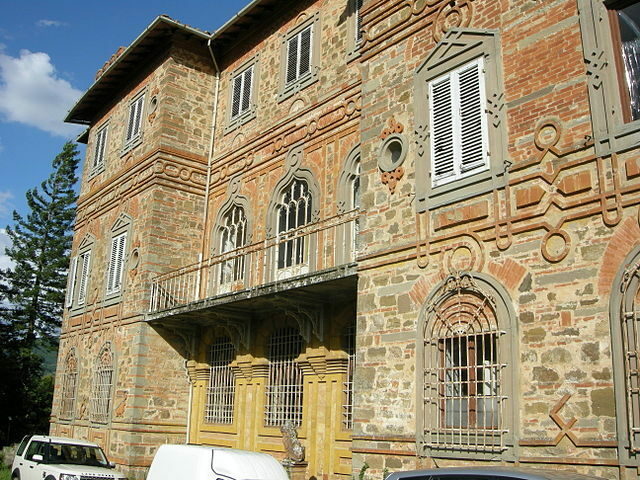 One of the wishes of Duke Cosimo I de’ Medici, the Grand Duke of Tuscany, was for the property to belong to Giovanni de’ Medici after his death. He sold it to Sebastian Ximenes of Aragon. The estate was left to the family of Aragon until the last successor, Ferdinand, died in 1816. 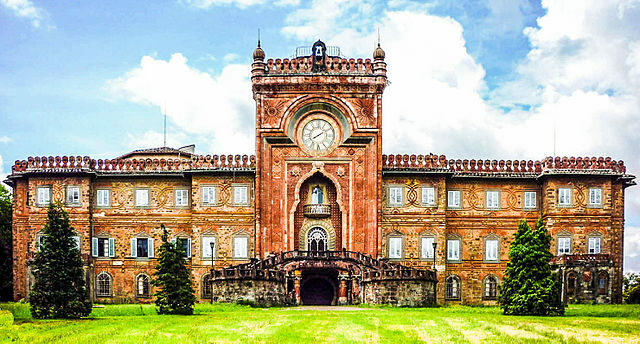 Then, after a few years, the property, fortune, and titles of the Aragon family, as well as Sammezzano Castle and its vast lands, came into the hands of the eldest son of Victoria, sister of Ferdinand and wife of Niccolo Panciatichi. The property was later inherited by his son, Ferdinand Panciatichi Ximenes d’Aragon. Ferdinand Panciatichi Ximenes d’Aragon reconstructed and redesigned the palace between 1853 and 1889. 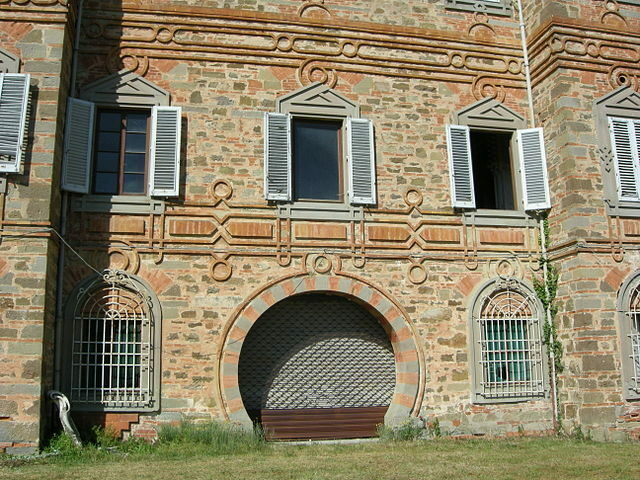 Nothing remained of the old 17th-century design of the building. He remodelled it into one of the most impressive examples of Moorish Revival architecture. Over forty years, Ferdinand Panciatichi Ximenes d’Aragon, a politician with a strong passion for botany and architecture, financed, planned and constructed the park and the palace. 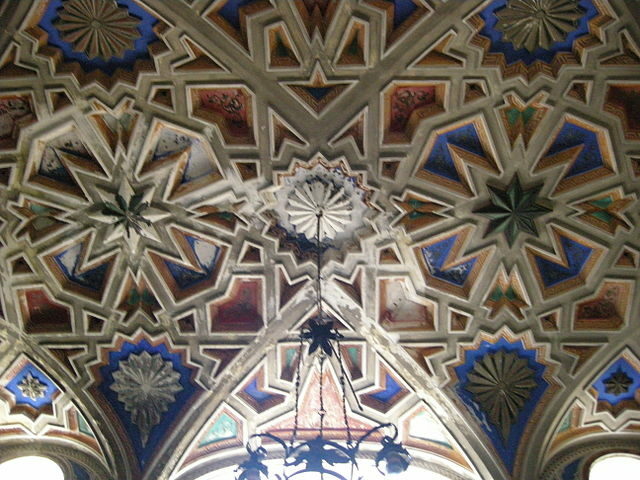 It became an important model of orientalist architecture in Italy. In the middle of the 19th century, the Moorish Revival style was flourishing across Europe and the Americas. The main characteristic of this style was Romanticist fascination combined with oriental art styles. Panciatichi Ximenes d’Aragon added more than 130 exotic and rare plants to the garden. He also changed the existing structure of the palace and built new rooms: the Entrance Hall in 1853, the Hall of Stalactites in 1862, the Ballroom in 1867 and the Central Tower in 1889. 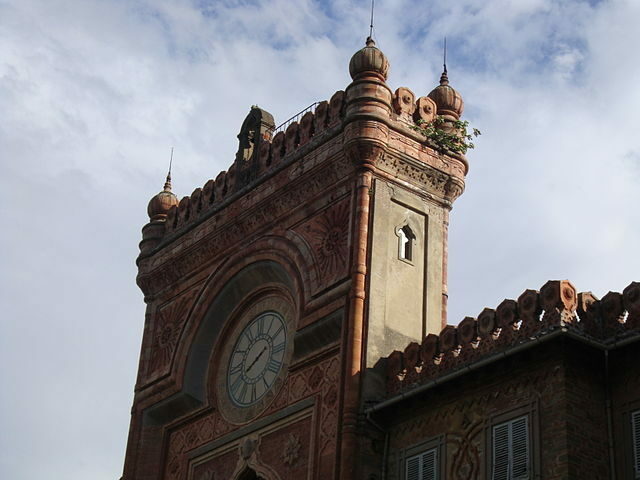 The king of Italy, Umberto I, was a guest at Sammezzano Castle in 1878. After World War II, the palace was transformed into a luxury hotel and restaurant. But it closed down and for over 20 years it was abandoned, uninhabited, and slowly decaying. Today, the castle’s extravagant property is designated as a historic park. 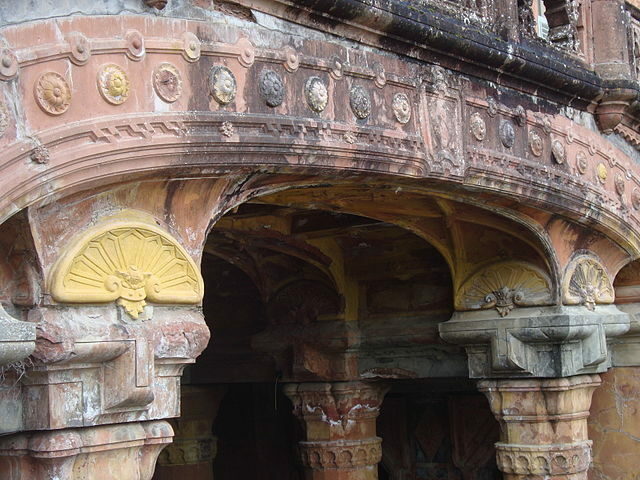 Over the last 20 years, there have been several attempts to restore and preserve the historic palace, all of which have failed. Recently, one hotel company bought the property and began the restoration and preservation of this unique building. They have plans to turn it into a resort with luxury apartments, country club, and spa. 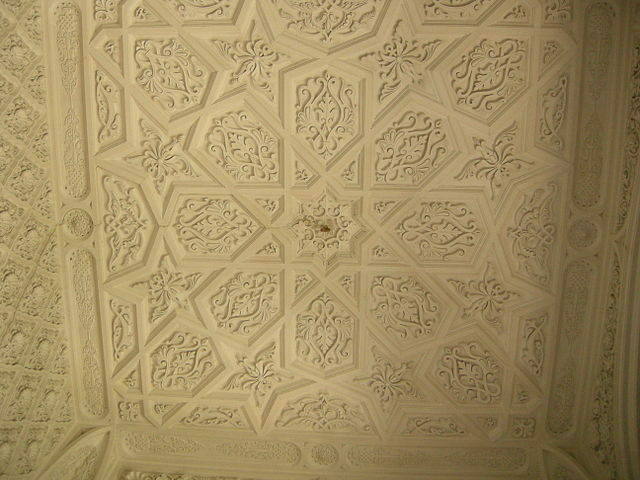 The building has 365 rooms, each decorated in a remarkable Moorish art style.